§. 175. THOUGH governments can originally have no other rise than that before mentioned, nor polities be founded on any thing but the consent of the people; yet such have been the disorders ambition has filled the world with, that in the noise of war, which makes so great a part of the history of mankind, this consent is little taken notice of: and therefore many have mistaken the force of arms for the consent of the people, and reckon conquest as one of the originals of government. But conquest is as far from setting up any government, as demolishing an house is from building a new one in the place. Indeed, it often makes way for a new frame of a commonwealth, by destroying the former; but, without the consent of the people, can never erect a new one. §. 176. That the aggressor, who puts himself into the state of war with another, and unjustly invades another man’s right, can, by such an unjust war, never come to have a right over the conquered, will be easily agreed by all men, who will not think, that robbers and pirates have a right of empire over whomsoever they have force enough to master; or that men are bound by promises, which unlawful force extorts from them. Should a robber break into my house, and with a dagger at my throat make me seal deeds to convey my estate to him, would this give him any title? Just such a title, by his sword, has an unjust conqueror, who forces me into submission. The injury and the crime is equal, whether committed by the wearer of a crown, or some petty villain. The title of the offender, and the number of his followers, make no difference in the offence, unless it be to aggravate it. The only difference is, great robbers punish little ones, to keep them in their obedience; but the great ones are rewarded with laurels and triumphs, because they are too big for the weak hands of justice in this world, and have the power in their own possession, which should punish offenders. What is my remedy against a robber, that so broke into my house? Appeal to the law for justice. But perhaps justice is denied, or I am crippled and cannot stir, robbed and have not the means to do it. If God has taken away all means of seeking remedy, there is nothing left but patience. But my son, when able, may seek the relief of the law, which I am denied: he or his son may renew his appeal, till he recover his right. But the conquered, or their children, have no court, no arbitrator on earth to appeal to. Then they may appeal, as Jephtha did, to heaven, and repeat their appeal till they have recovered the native right of their ancestors, which was, to have such a legislative over them, as the majority should approve, and freely acquiesce in. If it be objected, This would cause endless trouble; I answer, no more than justice does, where she lies open to all that appeal to her. He that troubles his neighbour without a cause, is punished for it by the justice of the court he appeals to: and he that appeals to heaven must be sure he has right on his side; and a right too that is worth the trouble and cost of the appeal, as he will answer at a tribunal that cannot be deceived, and will be sure to retribute to every one according to the mischiefs he hath created to his fellow-subjects; that is, any part of mankind; from whence it is plain, that he that conquers in an unjust war, can thereby have no title to the subjection and obedience of the conquered. At bottom, John Locke is arguing that might does not make right. Might may secure submission for a time. But it always leaves open the possibility of justified rebellion, whenever a good opportunity arises. And since that right of rebellion against unjust power is a perpetual right of rebellion, it is likely that after enough generations a good opportunity will arise, if originally unjust power does not legitimize itself by obtaining the consent of the governed. A type of rebellion that easily meets the benefit-cost test is rebellion in one’s own heart. It may sometimes be appropriate to give tyrants outward obedience for pragmatic reasons. But no one needs to give a tyrant their heart. Similarly, if you look at who eats more eggs and what happens to them, you don’t learn about the effect of eggs, you learn about the effect of eggs and everything else that is correlated with egg eating. In particular, I am concerned that those who eat a lot of eggs might eat a lot of animal products in general. Rather than eggs and their cholesterol being especially bad, maybe it is animal products in general (including eggs) being somewhat bad. I have written about eating too much animal protein as a possible cancer risk before. (See the section of links on “Anti-Cancer Eating” below.) It seems possible that animal protein is a heart disease risk, too. The study flagged at the top of this post has been all over the news. It has been interpreted as saying that cholesterol is the problem. I think we should be cautious about going there so fast. Just as fat that you eat isn’t the same thing as body fat, cholesterol that you eat is not the same thing as cholesterol in your bloodstream. In both cases, the body makes its own. The amount you eat of either body fat or cholesterol may not have a simple relationship to how much your body ends up with once the food is digested and metabolized and then the body decides how much to make in-house of body fat and cholesterol. Given that caution, let’s look at the newly analyzed evidence. I want to focus on the evidence about how much of a relationship is left between cholesterol (which is abundant in eggs) and heart disease on the one hand and all-cause mortality on the other after controlling for other obvious risk factors, and controlling for the total consumption of animal protein. Below, I have copy-pasted the key parts of the key Table 2. Focus on the lines that say “animal protein,” which means animal protein is controlled for. Looking at the 95% confidence intervals for the absolute risk difference over a median followup of 17.5 years, the lower end of the confidence interval shows only a .08% higher incidence of heart disease and .84% higher all-cause mortality predicted from eating an extra half egg a day. The lower end of the 95% confidence intervals for the hazard ratio show only a 1.01 times higher incidence of heart disease and a 1.04 times higher all-cause mortality after controlling for animal protein consumption. These numbers overstate the evidence for an effect of cholesterol. It is never OK to think you are “controlling” for the effect of a variable simply by putting it in a regression if the variable being controlled for is measured with error. I promise you, animal protein consumption will be measured with error. If measurement error in the data for animal protein consumption were the only problem, controlling for animal protein with an imperfect measure seems likely to undercontrol for animal protein consumption, and controlling for it using a measurement error correction would affect the coefficients of interest more (in this case, that would be in the direction of knocking the coefficients of interest down more). Things are more complicated here because cholesterol is also measured with error. But in any case, the authors need to go through the exercise of making measurement error corrections. None of this is to say that you should feel totally safe eating a lot of eggs. But at a minimum, in their analysis, the authors are clear that they have a tough time distinguishing whether eggs are the issue, or eggs and meat combined are the issue. Chris Campbell asked me some interesting questions about the idea of a US Sovereign Wealth Fund. Here they are, along with my answers. His questions are in bold. Afterward, I gives some related links and Chris gives an introduction to himself. 1. What makes sovereign wealth funds such an exciting concept for countries to adopt and/or implement? 2. Sovereign wealth funds have been around since the early to mid-1900s and have shown positive results in being a sustainable and long-term wealth building initiative. Why haven’t more countries established sovereign wealth funds if it is evident that an initiative as such produces results? Sovereign wealth funds are seen as a place to store funds if there are funds that need to be stored. There is no tradition of creating sovereign wealth funds financed by issuing Treasury bills. But once that idea is demonstrated, I expect it to soon become reasonably common. 3. We see countries like Norway, China, United Arab Emirates, and Kuwait create Sovereign Wealth Funds to build long-term wealth. In your opinion, what is stopping the United States from creating a Sovereign Wealth Fund? As noted above, there is no tradition of “optional” sovereign wealth funds that are not required as a place to store funds. Another big reason not to have a sovereign wealth fund is that it might become corrupt or politicized so much that it becomes a bad thing on net. Whether a Treasury-bill-financed sovereign wealth fund is a good or bad thing depends on whether the design problems for avoiding politicization and corruption and incompetence can be solved. 4. Is capitalism a factor that is stopping the United States from establishing a sovereign wealth fund? If not, what is and why? Capitalism itself is no barrier, but I would expect many people to oppose a sovereign wealth fund based on ideas out of right-wing ideology. Some of that opposition out of right-wing ideology would be effectively the concern expressed above about politicization and corruption and incompetence. But there would likely be opposition flowing from other elements of right-wing ideology as well. 5. People have argued the inefficiency of some federal programs like Social Security and have little confidence of the effectiveness of federal programs. In your opinion, is it more efficient to establish a sovereign wealth fund at the federal or state level? Why? There is much better oversight at the federal level because many more people would be looking at every action. One example of this is that there is still excellent coverage of national news, but the business model for local and state news has suffered from online advertising. This can be expected to make state and local corruption easier. 6. What are some advantages and disadvantages to creating a sovereign wealth fund either at the federal or state level? Another advantage of a sovereign wealth fund at the national level is that a national sovereign wealth fund can take on the important macroeconomic stabilization role I see as an important part of the benefit of a sovereign wealth fund. State-level sovereign wealth funds are unlikely to take on that macroeconomic stabilization role as well, as powerfully, or as knowledgeably. 7. A sovereign wealth fund could help the US invest for the long-term and be used for multiple reasons such as offsetting the cost of healthcare, fund economic development, assist during economic recessions, etc. In your opinion, what is the best use for a sovereign wealth fund if established at the federal level? The purpose of a sovereign wealth fund should be economic growth through encouraging private-sector risky investment, getting a good return, and macroeconomic stabilization. A sovereign wealth fund should not be used as an avenue for government spending that cannot get passed in the usual way in Congress. That said, if we can develop and implement technocratic concepts of capital budgeting for the Congressional Budget Office that are at least as difficult for politicians to distort as other Congressional Budget Office numbers, the additional public investment that many people see a sovereign wealth fund as a route to can happen through through Congress’s budgeting process. 8. Of the established sovereign wealth funds, royalties from oil and gas are the primary sources that supply the fund. As the demand for oil declines globally and US seeks to create more renewable energy, what other revenue producing assets could supplement the sovereign wealth fund if created? A US sovereign wealth fund should be funded by issuing an amount of Treasury Bills equal to a large fraction of annual GDP. 9. Currently, sovereign wealth funds invest in fixed income, equities, and real estate on a global scale. Do you see any advantages or disadvantage to the global market if more sovereign wealth funds are created on a global scale? 10. There are debates on the topic of sovereign wealth funds that the US government needs to create more laws to protect against foreign sovereign wealth fund investments into the US. What would be some of the repercussions and/or consequences if the US created laws that blocked foreign sovereign wealth fund investments in the US? My interview with Alexander Trentin on establishing an international capital flow framework suggests a way to address many of these concerns. Beyond those concerns about overall international capital flows and genuine national security concerns, I think investors from abroad should be treated the same as domestic investors. 11. In your opinion, why should the US government look to establish a sovereign wealth fund? Yes, but with great care in the design to avoid corruption and politicization of sovereign wealth fund decisions, to avoid meddling by the sovereign wealth fund in the decision of the firms it invests in (for example, by restricting the sovereign wealth fund to investing in exchange traded funds that have no voting rights in the underlying firms) and to attain high levels of competence in the sovereign wealth fund. In order to attain a high level of competence in the sovereign wealth fund, it must have a pay scale that is dramatically higher than any other government agency. Unless a dramatically higher pay scale than any other government agency is in the original legislation for the sovereign wealth fund, the sovereign wealth fund is probably a bad idea. 12. Any last comments or remarks on sovereign wealth funds? It will be interesting to see what happens in the area of “optional” sovereign wealth funds not required as a place to store funds. The idea of a Treasury-bill financed sovereign wealth fund has quickly moved from the fringes of policy discussion to an active area of debate by many. Tristan Hanson and Eric Lonergan: What Would a UK Sovereign Wealth Fund Look Like? My name is Chris Campbell and I am the author of the blog Wealth and Community. Wealth and Community is about understanding the concepts to build personal wealth and how these concepts not only impact ourselves, but our communities. Think about it -- if a person does not know how to budget or even wisely invest at a personal level, what makes you think they can do it while working in a small business, big corporation, or even the local, state, federal government. Wealth and Community gives me the opportunity to embrace my passion to help people realize the different ways to build wealth and how to serve and be impactful to their community. Additionally, learn from you all in other wealth building tips and how to give back to the community. Learn how to build personal wealth and be impactful to your community so that one day we can change the world. Look forward to seeing you all soon at Wealth and Community. In other passages in these chapters, it emphasizes how unusual it is that someone else (Jesus) can pay a price for one of us. In the area of weight loss, without supernatural aid, you will have the pay the price for weight loss yourself. But salvation from being overweight has a two-part structure like this Mormon doctrine of salvation from hell: there is a key sacrifice (analogous to “an atonement”), and then there is some other effort as well (analogous to “repentance”). From here on, I’ll give you my views about weight loss without further apology for the lack of certainty that all of us should have about an area where the evidence is not fully conclusive. But in this one post, I’ll tilt my views as much as I feel I reasonably can toward the calories-in/calories-out conventional wisdom. It can be reasonable to go further away from the calories-in/calories-out conventional wisdom, and I often do. But I don’t think it is reasonably to go any closer to the calories-in/calories-out conventional wisdom than in this post. What usually trips people when they attempt to lose weight is that if their insulin levels are even moderately high, their body fat will be (for the most part) locked into their fat cells. If your body fat is locked into your fat cells, reducing the calories you eat will make you feel starved and miserable, and your body will also try to reduce the rate at which it burns calories, which will make you feel sluggish. With your body fat locked into your fat cells, you won’t lose much weight to begin with, and feeling starved, miserable and sluggish will make you want to quit going down that road as soon as possible. One of the ways people keep their insulin levels up enough that their body fat is locked in their fat cells is by eating foods each day that have a high insulin index. (See “Forget Calorie Counting; It's the Insulin Index, Stupid.”) But another force keeping insulin levels high is having chronically eaten food that has a high insulin index in the past, which makes cells less sensitive to insulin (“insulin resistance”) which makes the insulin-producing cells produce more insulin to get the message through when blood sugar is too high. So the great sacrifice that can open the gates and let fat out of your fat cells is (a) to give up sugar and otherwise switch to foods that have a low insulin index and (b) to fast—that is, go for at least substantial chunks of the day, and possibly longer periods of time without eating anything, while continuing to drink water, unsweetened sparkling water, coffee and tea as desire. Once you have your insulin levels low enough through switching to low-insulin-index foods and having big chunks of time with no food at all, your body will be open to the possibility of burning body fat. Then and only then will you get the results people naively think they will get based on the usual calories in/calories out logic. But what you will find is that with your body open to the possibility of burning body fat, you won’t suffer from having substantial chunks of time with no food and having your total calorie intake from the outside world low. The reason is that a calorie from burning your own fat is just as good as a calorie from food you are eating now in keeping you well nourished and feeling good. 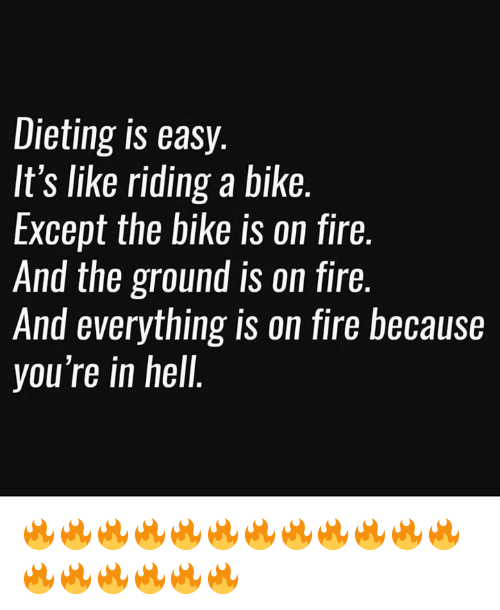 People don’t realize how easy fasting can be, because they think reducing calories in will lead to burning their own fat. It doesn’t work that way. If you have only a few calories, but many of those few calories are from sugary food and other food that produces a strong insulin response, your fat will stay locked in your fat cells. Low-calorie intake of high-insulin-index food leads to misery, not fat burning. It is low insulin levels combined with low calorie intake that will give you the fat burning that keeps you feeling well-fed from your internal fat stores even when you are not taking in much from the outside world. Of course, the one measure that both keeps insulin levels low and keeps calorie intake from the outside world low is fasting—periods of time without food. That is why fasting is the grand key to weight loss. However, if, in between your periods of fasting, you are eating a lot of sugar, easily-digested carbohydrates and other foods that generate a big insulin kick, it will both interfere with your weight loss and making fasting much, much harder. A key element of many soteriologies, or theories of salvation, is the fruitlessness of efforts that lack the key element. Similarly, weight-loss efforts that lack the key element of keeping your insulin levels low are likely to fail, and cause you a lot of misery on the road to failure as well as the disappointment of failure as the destination. If you do what it takes to keep your insulin levels low, people might well say “Of course that worked! You were avoiding sugar, refined carbohydrates and processed food, and going substantial chunks of time without eating!” But if they keep to the conventional wisdom that only focuses on calories-in/calories-out (and in the usual approach, inevitably ignoring many subtleties even about the calories out and about the detailed genesis of temptations for calories in), they won’t have as good an explanation for why what other people try doesn’t work in the long run. Parental Power. Being under parental power results from the disabilities inherent in childhood. Looking to the other end of the age spectrum, parental power can be compared to the medical or financial power of attorney those people often give others in their old age. Knowing, or suspecting, that they will become unable to make good decisions for themselves, many people voluntary sign documents in advance saying that another can make decisions for them if they are not in a position to make a good decision for themselves. The situation for children differs when children are young enough, there is no earlier time at which they were more competent to make good decisions. So it is not possible to get a fully informed, well-considered assent from children in advance to a document giving parents leave to make decisions for their children. Because of this practical difficulty, we treat children—or at least young children—as if they had signed such a power of attorney over to their parent. Nevertheless, just as in the case of an explicit power of attorney for someone older who can no longer make good decisions for themself, the power parents have vis a vis their child should be considered a power to be used for the benefit of the child. And it is a power to be used by the parent only to the extend that a child is, indeed, unable to make good decisions for herhimself. Political Power. Being under the power of a ruler or magistrate or judge results first from the disability almost all human beings have in being an impartial judge in their own case. As a defendant, most of us are likely understate the magnitude of our transgression and the appropriate penalty. (A few might overstate it.) As a victim, most of us are likely to overstate the magnitude of the perpetrator’s transgression and the appropriate penalty. To get an impartial judgment, defendants and victims must submit to third-party judgment. Our willingness to so submit has a lot to do with the overwhelming force that can come from joining in a compact to deal with another disability: the inability most of us have to enforce the law of nature on our own. We join in society so that law can be enforced, because for most of us, however much we fear the law being enforced against us, we have even more to fear from others violating our rights in the absence of enforceable law. 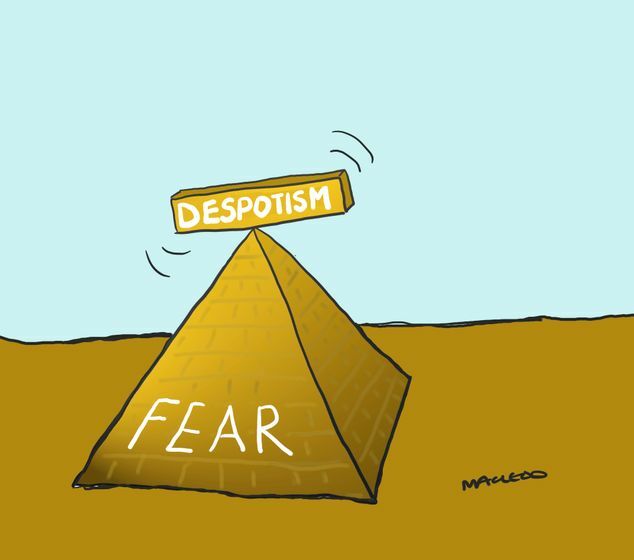 Despotical Power. Being under the power of a despot results from the fact that one sometimes lose wars—whether international wars or civil wars—or have a strong enough expectation of losing a war that we give in before engaging in a war. John Locke emphasizes too much the case of losing a war in which the other side has justice and right on its side. Losing a war in which on has justice and right on one’s side can just as easily put one under despotic power. A key element of being under despotic power is that, ethically, after losing a war in which one had right on one’s side, one remains in the state of nature and in a state of war with the despot. Contrary to some of what John Locke says, those under despotic rule can sometimes have a semblance of property, but that semblance of property is, in effect, a matter of foreign affairs—a treaty that can be broken. It is all a matter of what the despot can get away with without serious reprisal. §. 169. Though I have had occasion to speak of these separately before, yet the great mistakes of late about government having, as I suppose, arisen from confounding these distinct powers one with another, it may not, perhaps, be amiss to consider them here together. §. 170. First, then, Paternal or parental power is nothing but that which parents have over their children, to govern them for the children’s good, till they come to the use of reason, or a state of knowledge, wherein they may be supposed capable to understand that rule, whether it be the law of nature, or the municipal law of their country, they are to govern themselves by: capable, I say, to know it, as well as several others, who live as freemen under that law. The affection and tenderness which God hath planted in the breast of parents towards their children, makes it evident, that this is not intended to be a severe arbitrary government, but only for the help, instruction, and preservation of their offspring. But happen it as it will, there is, as I have proved, no reason why it should be thought to extend to life and death, at any time, over their children, more than over any body else; neither can there be any pretence why this parental power should keep the child, when grown to a man, in subjection to the will of his parents, any farther than having received life and education from his parents, obliges him to respect, honour, gratitude, assistance and support, all his life, to both father and mother. And thus, ’tis true, the paternal is a natural government, but not at all extending itself to the ends and jurisdictions of that which is political. The power of the father doth not reach at all to the property of the child, which is only in his own disposing. §. 171. Secondly, Political power is that power, which every man having in the state of nature, has given up into the hands of the society, and therein to the governors, whom the society hath set over itself, with this express or tacit trust, that it shall be employed for their good, and the preservation of their property: now this power, which every man has in the state of nature, and which he parts with to the society in all such cases where the society can secure him, is to use such means, for the preserving of his own property, as he thinks good, and nature allows him; and to punish the breach of the law of nature in others, so as (according to the best of his reason) may most conduce to the preservation of himself, and the rest of mankind. So that the end and measure of this power, when in every man’s hands in the state of nature, being the preservation of all of his society, that is, all mankind in general, it can have no other end or measure, when in the hands of the magistrate, but to preserve the members of that society in their lives, liberties, and possessions; and so cannot be an absolute, arbitrary power over their lives and fortunes, which are as much as possible to be preserved; but a power to make laws, and annex such penalties to them, as may tend to the preservation of the whole, by cutting off those parts, and those only, which are so corrupt, that they threaten the sound and healthy, without which no severity is lawful. And this power has its original only from compact and agreement, and the mutual consent of those who make up the community. §. 172. Thirdly, Despotical power is an absolute, arbitrary power one man has over another, to take away his life whenever he pleases. This is a power, which neither nature gives, for it has made no such distinction between one man and another; nor compact can convey: for man not having such an arbitrary power over his own life, cannot give another man such a power over it; but it is the effect only of forfeiture, which the aggressor makes of his own life, when he puts himself into the state of war with another: for having quitted reason, which God hath given to be the rule betwixt man and man, and the common bond whereby human kind is united into one fellowship and society; and having renounced the way of peace which that teaches, and made use of the force of war, to compass his unjust ends upon another, where he has no right; and so revolting from his own kind to that of beasts, by making force, which is theirs, to be his rule of right, he renders himself liable to be destroyed by the injured person, and the rest of mankind that will join with him in the execution of justice, as any other wild beast, or noxious brute, with whom mankind can have neither society nor security. [Another copy corrected by Mr. Locke, has it thus, Noxious brute that is destructive to their being.] And thus captives, taken in a just and lawful war, and such only, are subject to a despotical power, which, as it arises not from compact, so neither is it capable of any, but is the state of war continued: for what compact can be made with a man that is not master of his own life? what condition can he perform? and if he be once allowed to be master of his own life, the despotical, arbitrary power of his master ceases. He that is master of himself, and his own life, has a right too to the means of preserving it; so that as soon as compact enters, slavery ceases, and he so far quits his absolute power, and puts an end to the state of war, who enters into conditions with his captive. §. 173. Nature gives the first of these, viz. paternal power to parents for the benefit of their children during their minority, to supply their want of ability, and understanding how to manage their property. (By property I must be understood here, as in other places, to mean that property which men have in their persons as well as goods.) Voluntary agreement gives the second, viz. political power to governors for the benefit of their subjects, to secure them in the possession and use of their properties. And forfeiture gives the third, despotical power to lords for their own benefit, over those who are stripped of all property. §. 174. He that shall consider the distinct rise and extent, and the different ends of these several powers, will plainly see, that paternal power comes as far short of that of the magistrate, as despotical exceeds it; and that absolute dominion, however placed, is so far from being one kind of civil society, that it is as inconsistent with it, as slavery is with property. Paternal power is only where minority makes the child incapable to manage his property; political, where men have property in their own disposal; and despotical, over such as have no property at all.